In the age of the internet, a professionally designed corporate website acts as the most important channel for B2B and B2C communications. Establish your credibility, enhance your accessibility and build strong customer relationships with our corporate web development services. An ISO 9001:2015 certified website development company, Webguru Infosystems has years of experience in providing corporate website design services to enterprises. Does the website give out a clear image of your brand? Is the website able to project a good impression of your company profile? At Webguru Infosystems, we rope in these factors when developing any corporate website to evoke trust and reliability among the target audience as well as convey a proper brand message. Is the website compelling enough to woo customers? Do they return often? Webguru Infosystems is capable of creating corporate websites that work wonders for your customers and make them loyal to your brand. We help you build strong relationships and personalize experiences with the right design elements and informative content. Do your customers get optimum help when they are in trouble with any of your product or service? Do they get answers to their queries before they choose your company over others? We implement features like FAQs, Live Chat, Blogs and easy to locate Call-Now buttons for better customer interaction and higher level of satisfaction. Do you have any idea which products/services your customers like the most? Do you know which region has the maximum number of potential customers? We integrate tools like Google Analytics to help you track audience location, behaviour, and preference. This information can be utilized in future marketing endeavour. Redesigning a corporate website is an uphill task. For online businesses a website emphasizes their web presence. It is a tool that should bring in business results. 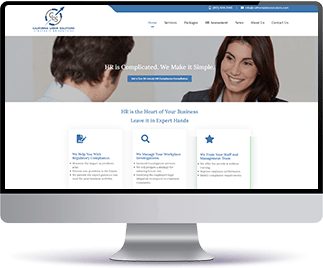 Thus, in order to keep things moving in the right direction it is important that your corporate website is updated and lists all the services extensively.Corporate websites are large. There are multiple departments, practice listings and vendors.